Size: Males have a carapace of up to 20 cm in width (including the laterally projecting spines) and 6 7 cm in length. 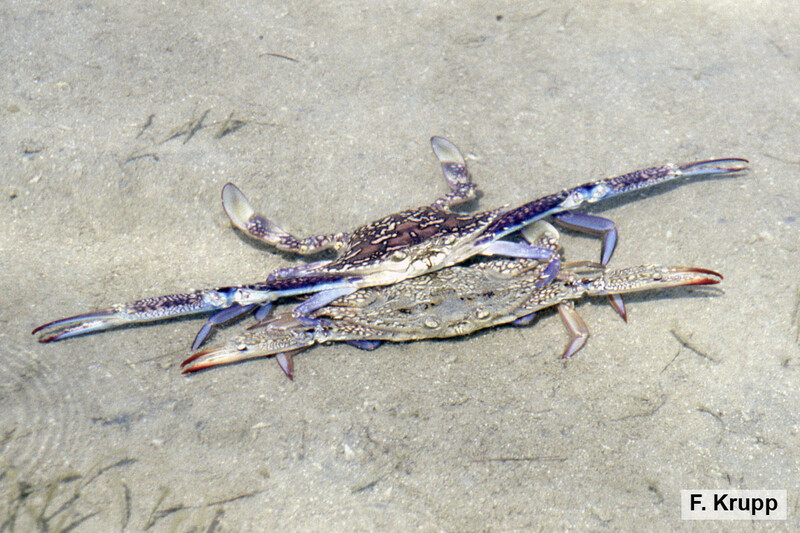 The Blue Swimming Crab lives in coastal, from the rocky or cobble intertidal zone subtidally down to 65 m, mainly on sandy and muddy substrate of areas near reefs, in mangroves and in seagrass and algal beds. It burrows in sand if disturbed, but is a fast-moving swimmer and opportunistic predator, primarily a carnivore preying voraciously on a variety of benthic animals and less on marine plants and seagrass. 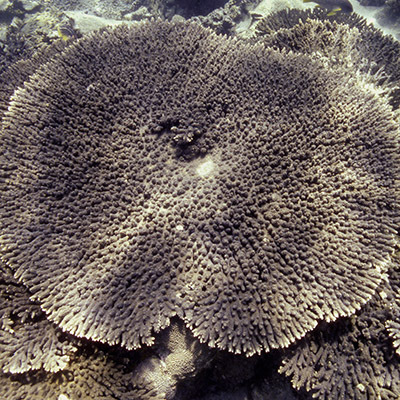 Juveniles tend to remain in shallow intertidal areas; they mature at about one year of age. Portunus segnis is confined to the Western Indian Ocean west of the Indian subcontinent, including the east African coast, Red Sea, Arabian Gulf and Gulf of Oman. Portunus segnis has not yet been assessed for the IUCN Red List of Threatened Species. The species is the only crab that is fished commercially in the Arabian Gulf, where it is caught by artisanal traps, trawls, seine nets and stake nets and offered for sale in local markets, fresh or frozen. The oval carapace is twice as wide as long, its surface rough to finely granular, with four median teeth at the front, which tend to be obtuse or even indistinct, and nine teeth on each anterolateral margin, the last one acutely triangular and 2 4 times as large as the others, projecting outwards. The large chelae on the first pair of legs (chelipeds) are slender and elongate, with a smooth inner surface of the palm, and bear three spines, two anteriorly and one near the posterior margin of the first arm segment. The other legs are laterally flattened, with the last two segments of the hind pair in paddle-like shape for swimming. Coloration of males is dark blue-green with discrete white spots on the carapace, sometimes merging into a network of thin bands; females are similarly colored, except that the tips of their chelipeds are red instead of blue, with spotting on the posterior third of the carapace.